Our favorite guide books and travel websites. Guidebooks have always been the traveler’s bible, and I think they’re still a great resource for planning your journey. However, over the past few years there has been a proliferation of online travel resources and it is easier than ever to find out about the best Europe has to offer.So what’s the best option? I think any good travel planning should include both printed travel books and online guides. So what’s the best option for the modern day budget traveler? We’d recommend a mix travel books and online guides. I often hear people mention that they don’t want to plan their trip, but they would rather “play everything by ear.” They have romantic notions of “finding that great little cafe” by accident. It sounds great but it isn’t a great idea (trust me, I was one of those people). European cities are full of little gems — but they’re hidden away and you’d never find them unless you knew exactly where to look. Without some foreknowledge, you’re going to waste a lot of precious time and you’re going to miss out on many great things. There are hundreds of guidebooks and travel guide websites out there, but I am going to mainly focus on the ones geared towards budget and younger travelers. In this guide we’ll review “traditional” travel guidebooks, but we’ll also review new sources of travel information — like online guides. Spotted By Locals: Having a local show you around is the best way to experience a city, but many of us don’t have that luxury. This is where the multi-award winning site Spotted By Locals steps in. I really like these guides because they’re written by hand-picked locals. I believe that most of their writers are students/young professionals so the reviews are geared toward the twenty-something budget-conscious traveler. The guides are currently available for 30 popular European cities, and unlike guidebooks, these are updated multiple times a year. You’re not going to find much information about “tourist” stuff, but you will find plenty of information about local restaurants, bars, clubs, specialty grocery stores, shops, markets, and plenty of other “under-the-radar” spots. I find that these guides have a fairly heavy focus on restaurants/bars (with plenty of budget options). Each guide costs 3.99€ and comes as a PDF. They also publish a free blog for each of the cities. Spotted By Locals has won a bunch of travel awards so you know the guides are going to be good. 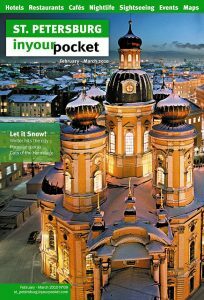 InYourPocket: I believe I first saw these free guides when traveling in Krakow. They now offer free online guides to numerous cities throughout Eastern Europe (and a handful of Western European cities). These guides are written by local English speakers and are available for free download on their website. They still print free guides (available at various hostels) or you can buy the printed guides before you go (5€-8€ w/ postage included). I like InYourPocket guides because it gives you a lot of practical information about the city (public transportation tips/maps, city maps, money saving tips, helpful words/phrases, upcoming events, etc). The guides are updated every few months so the information is current. There is a lot of good information about stuff to see and do at every price point. You’ll find a decent amount of advertisements, but it’s free. Thrillist: One of my go-to websites for food suggestions is Thrillist. 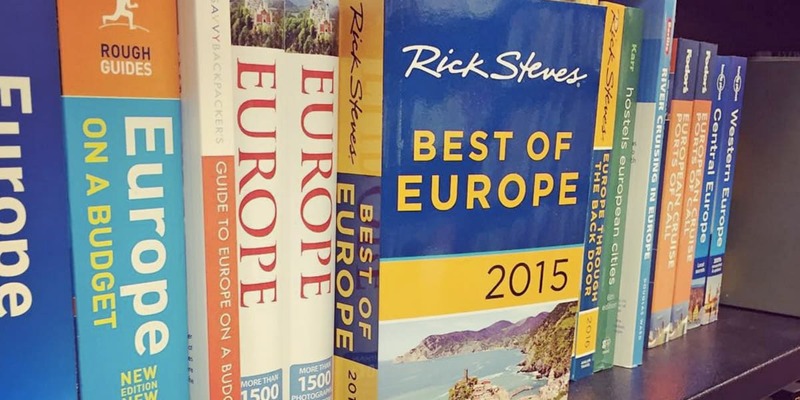 They don’t have a ton of city guides for Europe but they cover Berlin, Paris, and Amsterdam. Superfuture SuperGuides: Are you a trendsetting traveler that loves to drop a lot of cash? Well, Superfuture’s SuperGuides might be perfect for you. The SuperGuides are geared toward travelers on the cutting edge of fashion and design, and that want to know the coolest new shops and places to visit. The information is updated fairly often so you can be sure you’re only reading current reviews. The true budget traveler probably won’t find this too helpful because a lot of the stuff in these guides are fairly high-end. Each guide costs $20 — so, it too, is on the high end of the spectrum. TripAdvisor: The mecca of user-generated travel reviews. This is one of my favorite sites to visit when first planning a trip. The reviews are written by a wide range of travelers, each with different expectations, so not everything you read is going to be from the point of view of a young budget traveler. You have to read into the reviews a bit, but I still think it is a great resource. WikiVoyage: The wikipedia of travel. There is a lot of really good, practical information about European countries/cities. All the major tourist things will be highlighted and some guides will give recommendations for hostels/shops/restaurants/etc. I like to go here to get a good overview of each city. I still think a good guidebook is very valuable. Personally, I like to use guidebooks to find out about the tourist things (museums, sights, attractions), but I would rather find non-tourist things (hostels, restaurants, shops, bars, etc) from the online resources I listed above — although a guidebook will still list many good “non-tourist things.” There are many guidebooks available and each one caters to a different audience/niche. It is important that you get one that fits your travel style. 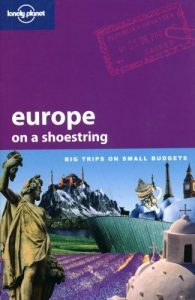 Guidebooks are generally split between focusing on all of Europe or focusing on a specific country/city. I think the country/city specific ones have better information, but if you visit multiple countries it doesn’t make sense to take multiple books with you (this is why I think having electronic guides on your smartphone/iPad is a great idea). On the other hand, if you only plan on visiting one country it doesn’t make sense to get a book that covers all of Europe (duh). I recommend going to a bookstore to check out the travel guidebooks in person. You’ll find tons of travel books at Barnes & Noble or any other bookstore. Take a few that look interesting and flip through them for a few hours. If you don’t want to spend money, you can always write down the things that look interesting in your homemade travel guide and not buy the book. I like to buy my books on Amazon because the prices are so much better than in the store. ” is specially designed for budget travel. The guides are only updated every two years so some information might be out of date (although, this is fairly common among guidebooks). Be warned that any place that gets featured in a Lonely Planet book will likely be overrun with tourists—this makes some travelers shun the LP series. 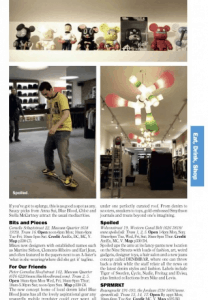 Lonely Planet allows you download guides in PDF format and you can pick which sections you want to buy. I think this is a really great idea—I usually just cut out the pages that are interesting anyways.
. In addition, he also has a few travel guide iPhone Apps. One great thing about Rick Steves is that their books are updated every year so you have a better chance of more accurate information. Rick Steves also has all 66 of his PBS travel shows available on Hulu for free (US Only) and most on free on his YouTube page. Fodor’s Guidebooks: Fodor’s publishes some high-quality guide books and I know a lot of people who really like them. I think you should check them out. Rough Guides: Another popular series that is popular with younger travelers. : These guides have been a long time favorite of student travelers, but I’ve heard the quality is starting to go downhill (I guess they were purchased by a different company). There have been many reports that the new versions of the books have less content and are less helpful than earlier editions. Although, I hear the maps in these books are really good. If you see one at a bookstore you might want to thumb through one, but I don’t think I would recommend buying one. Eyewitness Guides: The eyewitness guides seem to get good reviews, but I think they are better for travelers with deeper pocketbooks. They do have a lot of pretty pictures so these are great to read through at the bookstore, but I probably wouldn’t buy one to take with me while I traveled. Time Out: Time Out is a pretty good online travel site (they also publish travel books) that caters to younger, more budget-oriented and culturally hip travelers. They have guides to a lot of the major cities in Europe so you’re bound to find something interesting. The website is free and they also offer iPhone apps for a bunch of cities that cost £2.99/city. Reddit has numerous subreddits dedicated to travel. You can find a wealth of information there. Do you have a favorite website or guidebook? Leave me a comment and I will check it out! Choosing well-researched itinerary is essential for budget travelers. This guide will help you make the most of your time & money. The COMPLETE guide to everything you need to know about visiting Hamburg, Germany.